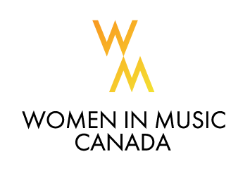 The Drake Underground hosts the three-day Women in Music Canada Conference and Music Festival from October 11-13, 2017. Musical performances and talks by and with industry leaders will start on the International Day of the Girl and will include free and paid programming with tickets ranging from $8-$12. The conference will feature talks on how to start a record label, global touring and logistics and the art of music video. The conference will help to empower, educate and educate women. Musical guests include Maybe Baby, PONY, Mackenta,Witch Prophet, Lemin, Bambii, Nino Brown, Little Coyote, BEYRIES and Falcon Janetake the stage. With tickets available at the door or for sale online (link below). "Confirmed conference speakers and educators include Universal Music A&R Director, Joelle Bertrand; CARAS/The JUNO Awards & MusiCounts Chief Operating Officer, Jackie Dean; Indica Records co-founder, A&R Manager and Montreal Women in Music Founder, Kyria Kilakos; Feldman Agency Director of Operations and agent, Olivia Ootes; Part and Parcel video production agency owners, Katy Maravala and Nicole Powell; musician Peter Dreimanis (July Talk); 2017 Prism Prize Juror and Journalist, Tabassum Siddiqu; manager Tao-Ming Lau; musician SATE and Folk Music Ontario’s Executive Director, Alka Sharma. Well-known artist and musician Maylee Todd will present a performance broken down in Ableton Software for laptop-using participants." Description: Universal Music A&R Director Joelle Bertrand discusses A&R as well as insight on being a music manager for the band Heartstreets. Description: Indica Records co-founder, A&R Manager and Montreal Women in Music Founder, Kyria Kilakos, discuses how to start a record label. Description: Artist and musician, Maylee Todd, will present a performance broken down in Ableton Software. This is an intermediate course for Ableton users. PLEASE BRING YOUR LAPTOP. Description: Feldman Agency Director of Operations and Agent, Olivia Ootes, will discuss the types of visas needed for work travel and touring globally. Description: Part and Parcel video production agency owners Katy Maravala and Nicole Powell will discuss music video as an art form along with a panel of esteemed creatives such as musician Peter Dreimanis from July Talk and 2017 Prism Prize Juror and Journalist Tabassum Siddiqui . This is presented in partnership with Prism Prize. Description: A panel and town hall- style conversation regarding the importance of diversity in the music industry with Universal Music Director of A&R Joelle Bertrand, Manager Tao-Ming Lau, musician SATE, moderated by Folk Music Ontario’s Executive Director Alka Sharma.